On street corners and under shade trees, functionaries from Bogota held court almost everyday in Mampujan. Dressed in vests proclaiming their identity as members of the Unidad de Victimas, or the Organization of the American States, or the Sena or universities or whatever, they passed out attendance sheets and lectured the community on how to live life. Some were helpful. Most were not. 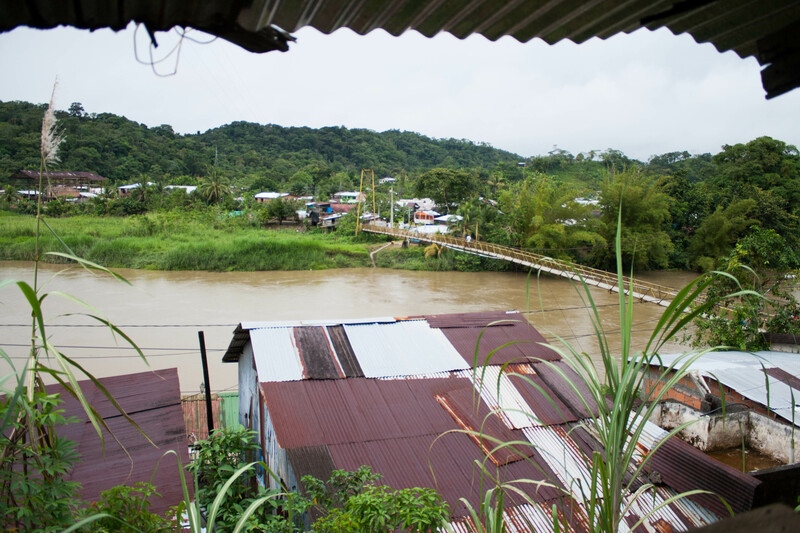 Whatever the case, the community continued to attempt to live their normal lives into between all of the interruptions, but it was hard, especially for community leaders. The day after the especially traumatic commemoration of 2012, multiple community members asked me why the leaders had failed at organizing the activity. “If only more people from outside had been involved, it would have been a success,” everyone proclaimed. As much as I tried to tell people that the majority of the disaster was because outside organizations had taken control from the leaders, not given it to them, it took the community a long time to regain trust in their leadership. The constant arrival of outsiders had reiterated the belief that Mampujan was simply not capable of doing things on their own. 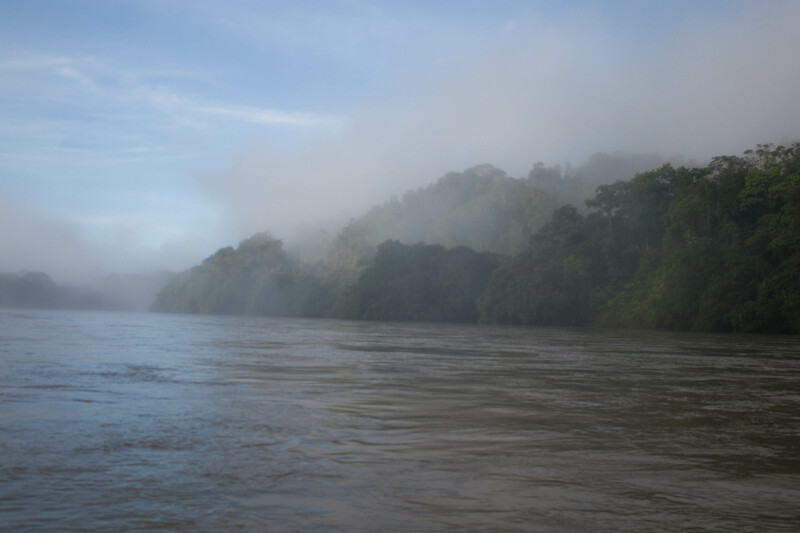 Last week, I was cruising down the San Juan River in Choco. 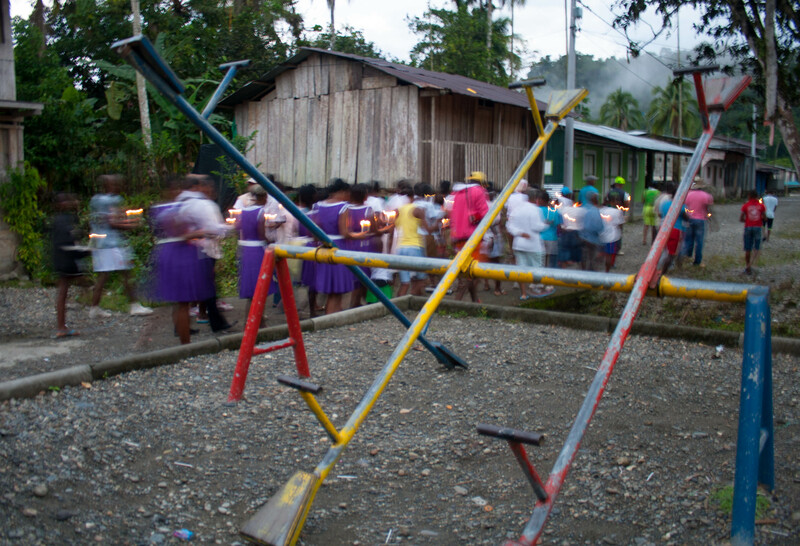 We drifted past a billboard proclaiming the birthday celebration of a FARC commander: a few kilometres downstream, a building on the bank was adorned in bold black spray paint proclaiming “ELN: 50 years of resistance.” We stepped out of a church service in the community of Bebedo, to find that an armed actor of the ELN had handed out pamphlets proclaiming a 48 hour armed strike starting at midnight the next day, paralyzing the entire San Juan region. Anyone found travelling would have their vehicle burnt or worse. 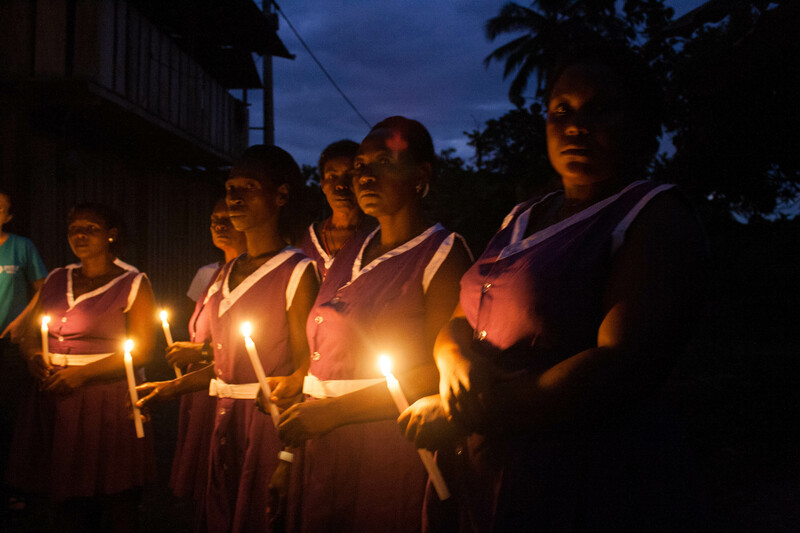 Yet the next morning, to commemorate the tenth anniversary of a massacre that partially displaced the community and left 10 dead, local women from a traditional Afro-Colombian singing group were up at five am to greet the day with songs. 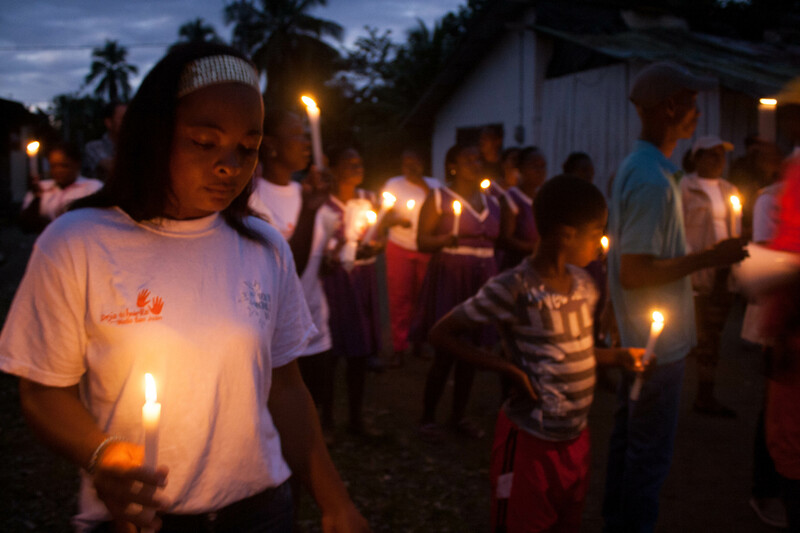 As we walked through the community singing, pausing for prayer and remembrance in front of each house that lost a loved one, community members lit the candles of each person who joined the march. 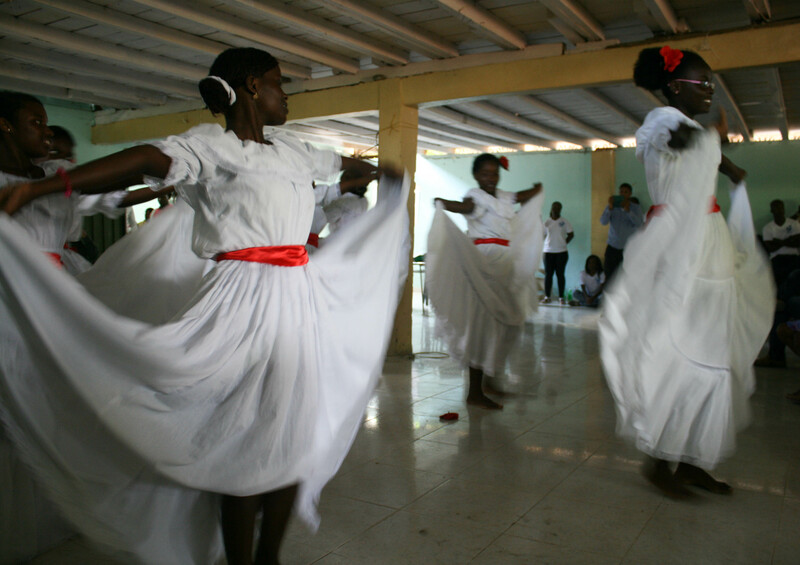 With traditional dances, poetry and more songs, Bebedo remembered violence, yet celebrated life and hope for the future. The community demanded state attention and reparations, while recognizing their own abilities to move forward, even in the middle of a difficult context. I found it hard,however, to enjoy the beauty of the moment and the hope of the community in the midst of conflict, because I was filled with shame. I was doing something I swore that I would never do: entering a community I did not know, trying to control a local event, and leaving. For a number of different reasons, I felt like my presence was disempowering local leadership, not helping, even though the event was technically a success. As the mothers left the activity with their children, they turned to thank me for everything I had done. I had done nothing and was not ever sure why I was actually included in the activity. But my presence, and the colour of skin, ensured that I received the credit, not the actual organizers: the community members. For two years, while organizations entered and left Mampujan everyday, I stayed. I worked with a local organization, Sembrandopaz, and local community leaders. I don’t think I did anything remarkable, but I was there and did not try to control the community. Instead, I documented and learnt about life from the inside, not the outside. It was the only thing I could do, yet it allowed me to understand community dynamics and complexities in a way no one from outside could. I was able to share that information with other members of MCC that did not live on a local level to help complement our organizational understanding of the community and therefore, our approach. Yet life within the community also made me extremely hesitant about doing anything, especially on my own, because I saw the ramifications lived out in families and local leadership everyday, in a way that people from outside could not. Both the Montes de Maria and Choco are complicated situations with a long history of outside intervention. Any attempt to come in and “help,” especially from outside, can have serious undertones of colonization, especially when combined with western power dynamics, structures and money,and without an understanding of actual community dynamics. 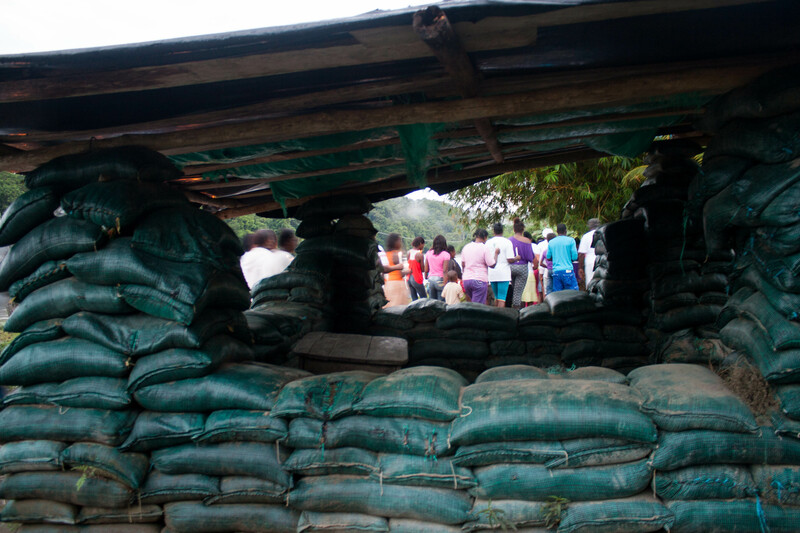 In an area dominated by armed groups, outsiders and their activities can also place communities at risk. This doesn’t mean never going to communities; rather, I want my sense of shame to propel me to examine how to truly accompany in a way that empowers the community, not myself. Communities have agency and remarkable resilience; my activities should be supporting those abilities, including combating structural injustices at home, rather than making life more challenging for locals than it already is. so so great Anna, thank you. Last week we had Stefano Tijerina here at York – he did a dissertation on Canadian imperialism in Colombia – read it when it comes out as a book! Reblogged this on MCC Latin America Advocacy Blog.